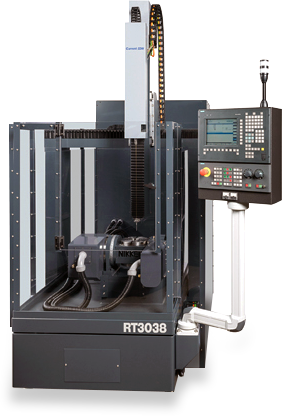 The Current EdmDrill RT3038 is a 5-Axis EDM Drilling Machine designed for parts used in the Aerospace, Power Generation and Medical industries. The extended W-Axis (vertical travel) on this machine enables very accurate positioning and drilling of difficult-to-reach surfaces and on extra-tall parts. The NIKKEN rotary table for 4th and 5th Axes is one of the most accurate and repeatable indexers on the market today. 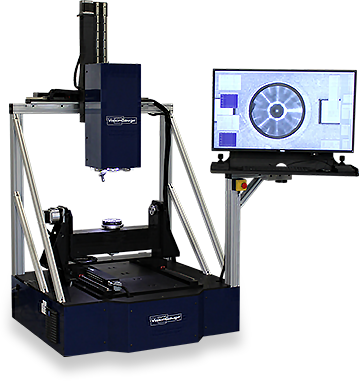 The VisionGauge VG700 Digital Optical Comparator is a fully-automated 5-Axis Inspection and Measurement System designed to check and verify the dimensional integrity of EDM-drilled holes. This state-of-the-art machine quickly and accurately inspects 100% of the hole features on a part with powerful, adaptive feature-detection software; and generates a full inspection report with measurements, statistics, images, and other data to provide you with complete documentation for every part. The EDM process can machine nearly every conductive material from aluminum to the toughest super-alloy grades, and anything in between. Please contact us for more information about the materials we can drill. We can also provide: CNC Machining, Grinding, Welding, Heat Treating and Thermal Coatings.